We all know very well that the tech giant Samsung is now one of the largest technology companies that exist in our tech world and currently it is in a state through which it can easily cover the most diverse areas of the market. 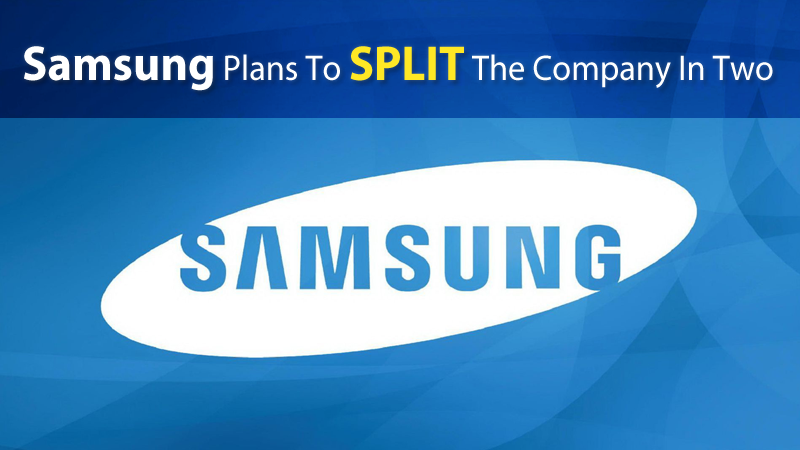 But, now it seems that the tech giant Samsung is planning to split the company in two. Samsung is now one of the largest technology companies that exist in our tech world and currently it is in a state through which it can easily cover the most diverse areas of the market. But the company may be accusing the weight of size and, therefore, may be preparing to brief a division, separating and forming two companies, with different purposes. There is still no certainty that this process will actually move, but Reuters is moving that the South Korean tech giant Samsung may be preparing to split into two companies. This is not an abnormal process in the high dimension companies, such as Samsung, and already many others did. However, among all those, the tech giant Google is the latest known case. What is known, this process of division is being asked by some of Samsung’s shareholders, who expect so might bring back some stability to the company and greater control in the areas of innovation key. Even as just an idea, the tech giant Samsung has admitted its chance and has scheduled a meeting of shareholders to discuss this idea and to make a final decision. The idea is to create a first company dedicated to operating issues and the creation of new and second it will be only a holding company. With this division Samsung will be able to lighten its structure and give the company operations the ability to create new products and innovate, making it more agile and dedicated. To authorize this structural change from Samsung, the company’s investors want to receive a special award in the amount of 26 billion dollars. This measure comes at a time when the problem related to the Note7 begins to impact on the company’s accounts, which will cost 6 billion dollars, and also a stage where there is an ongoing investigation that puts the company in the center of a scandal involving the south Korean president.